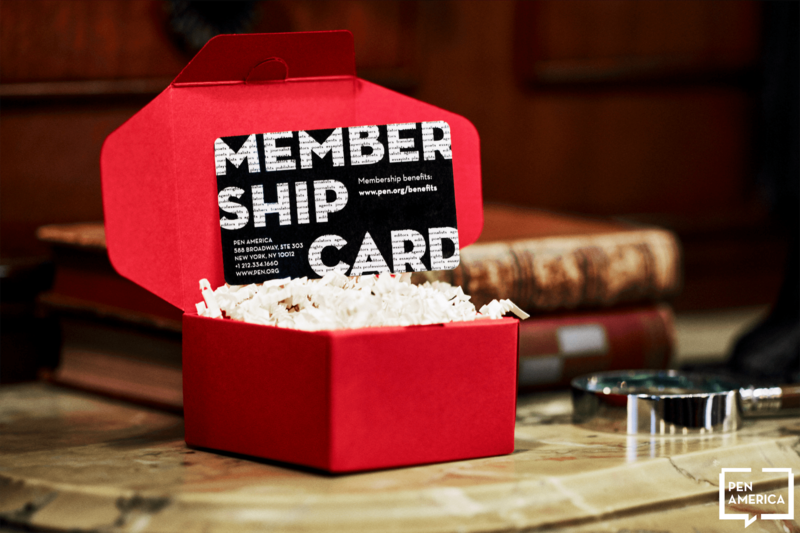 PEN America Membership is the perfect gift for the writer, reader, or free speech champion in your life. Our Members stand up to protect the right to free expression in the United States and around the globe. Members are directly linked with an international community of authors, journalists, editors, translators, dramatists, screen writers, other established and emerging writing professionals, and their supporters who promote, defend, and celebrate the freedom to write. Purchase a Membership for someone today and give them a meaningful gift that will bring benefits for an entire year. Do you want to notify the recipient of their gift membership immediately? When would you like the recipient to be notified? No, I will only be purchasing one year of Membership today. Yes, please auto renew this Membership annually.